Report after report is now confirming what most Americans knew all along: first, that it was indeed a terrorist attack in Benghazi on September 11, 2012, and second, this terrorist attack and murder of four Americans could have been prevented. I am among the many Americans who remain outraged at the cover-up and the continued stonewalling by this Administration to reveal the truth of those events. I hold these views not only as a Republican Senator, but as a U.S. Marine. I fear our lack of truth and understanding has broken a bond that those who risk their lives for our nation all share and believe in: the bond that if they come in harm’s way, we have their back; we will be there for them. A month after the attacks, I wrote President Obama as a Marine with the deepest concern regarding his personal handling–and that of his Administration–of the Benghazi attacks and the damage it continues to do to that sacred bond our men and women in uniform have of “sacrifice for each other.” And that extends to those who serve our country overseas in a civilian capacity. If he and others responsible for this tragedy do not restore this trust, the future morale and effectiveness of our military services are at stake. While we have learned about the Administration’s failure to prevent a terrorist attack with actionable intelligence, we are again left wanting answers on the cover-up of this failure. In the Senate Intelligence Committee’s report, it is made clear that individuals within the Administration have continued to stonewall Congress from learning the truth. No one who has played a role in this debacle has been held accountable, let alone brought to justice. In fact, just the opposite. We have released individuals who have returned to start working on the next terrorist attack. Likewise, the Senate report makes it clear that U.S. personnel raised alarms for months before the attacks, as early as February 2012. Yet the State Department’s Assistant Secretary for International Programs, Charlene Lamb, rejected requests for more security because Libya was a “political game” and the Administration did not want to “look bad,” according to the Senate Intelligence Committee’s report. The absurdity and egregious behavior of putting politics before security is overwhelming. Lives were at stake. This has been an incredible example of condescending arrogance and elitism putting politics and personal agenda ahead of protecting the lives of Americans. The insult is that 16 months later, we still can’t get the truth. I am fed up with the lack of accountability this Administration has taken in response. I am fed up with the stonewalling by several of those in the State Department who have ignored requests from the Intelligence Committee for testimony. The difference-our Ambassador and three other patriots did not have to die. 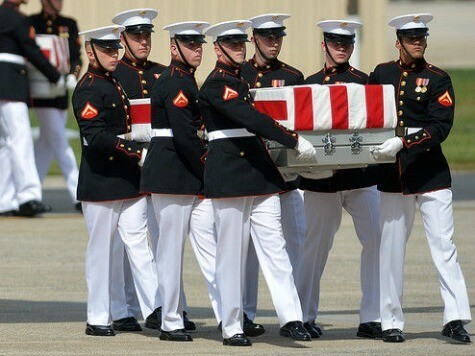 The families of Ambassador Stevens, Sean Smith, Tyrone Woods, and Glen Doherty deserve better from this country. They deserve more from this president. With that in mind, on January 16, I went to the Senate floor and made a simple and respectful request of the president. I asked that he take the opportunity during his State of the Union address-on Tuesday, January 28-to give those families and all Americans the whole story. Mr. President, I simply ask that you be forthright with the American people. Help us get beyond this tragedy. Help us restore confidence and faith for our personnel serving overseas and in harm’s way that the sacred bond of always having their back is not gone. Recently I had the opportunity to speak with 40 young Marines who are just about to finish Basic School. I looked each of them in the eye and let them know, because they needed to know, that a bipartisan majority in this Senate has not forgotten about that promise, the same promise that was made to me when I joined the Corps. Mr. President, I hope you can make that promise again soon, too.